If Extra Virgin Olive Oil (EVOO) and Olive Oil were to battle it out in terms of health benefits, EVOO would come out on top. It’s a bit like Arnold Schwarzenegger and Danny DeVito in the 1988 film Twins. Think of EVOO as Arnie and DeVito as OO, the smaller, weaker sibling. What’s the difference between the two? Quality. Extra Virgin Olive Oil is the highest grade of Olive Oil. It comprises the fresh, natural juice of the olive and is unrefined, making it 100% natural and better for you. The high quality and natural production means it is high in natural antioxidants, vitamin E, and phytosterols from the olive fruit. According to Australia’s stringent standards for grading olive oil, EVOO is a natural olive oil that also undergoes laboratory testing to ensure it is of the highest quality to be classified as EVOO. So, what’s the difference between EVOO and Olive Oil? Firstly, Olive Oil is not naturally obtained. It has undergone refining which includes high heat and chemicals to make it suitable for human consumption. This refining process strips oils of natural antioxidants and also produces harmful compounds such as trans fats, which are damaging to our heart health. In contrast, EVOO contains high levels of natural antioxidants and is free from trans fats. In a nutshell, it’s not as good for your insides. EVOO scores higher in the kitchen, too. It’s not just about taste. EVOO is great for all types of cooking, including high-temperature cooking, and can enhance the health attributes of other ingredients. 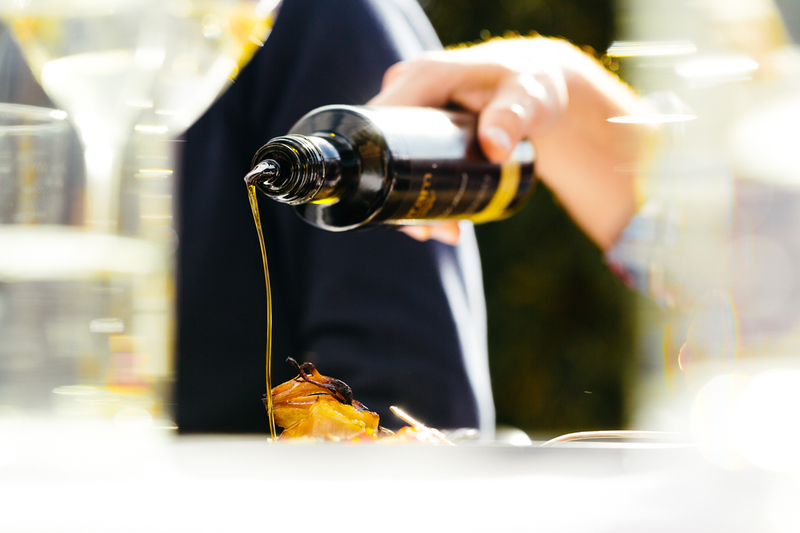 According to Shane Cummins, head judge of The Australian International EVOO Competition, unrefined oil is a lifestyle choice. “Once you taste a really good oil it’s a lifelong addiction,” he says. South Australian Extra Virgin Olive Oil producer Lisa Rowntree agrees. She and her husband Jim run Longridge Olives and say quality and awareness in Australia is improving. “Australians now have access to this incredibly high quality product now which we’ve never had before. I think that’s been the big turnaround,” she says. EVOO is a healthy fat and is also an important part of the Mediterranean Diet and its health benefits are well documented. It holds its own in the kitchen, too. The natural antioxidants in high quality, certified Australian EVOO provide it with extra protection when heated. Meanwhile, Olive Oil (which is refined, similar to other oils like Canola Oil and Rice Bran Oil) is more likely to break down and form harmful compounds when heated. This is because the refining process itself makes an oil more susceptible to breaking down and forming harmful compounds when heated. To be sure you are definitely choosing a certified Australian EVOO, look for “Extra Virgin Olive Oil” on the label – if it does not state Extra Virgin, it will only be Olive Oil – and make sure the triangle Australian certification symbol is on the label.